Following the historic 30th voyage of the Groove Cruise West Coast in October, the Whet Travel team has turned its attention to the Groove Cruise Miami, taking place January 10-14. The 15th-anniversary sailing of the Groove Cruise will feature performances from Kaskade, Aly & Fila, Hot Since 82, Markus Schulz, MK, Simon Patterson and more stars of the electronic music world. While sailing on the Celebrity Infinity, Groove Cruise Miami passengers will visit two destinations; the tropical island of Cozumel, Mexico, and Key West, Florida. Both stops will give travelers the chance to experience an authentic beach lifestyle with unique experiences. The Celebrity Infinity also includes onboard amenities and features, such as a retro restaurant, Egyptian-themed casino, basketball court, jogging track, shuffleboard, indoor solarium and pool, fine dining and more than 100 spa cabins. 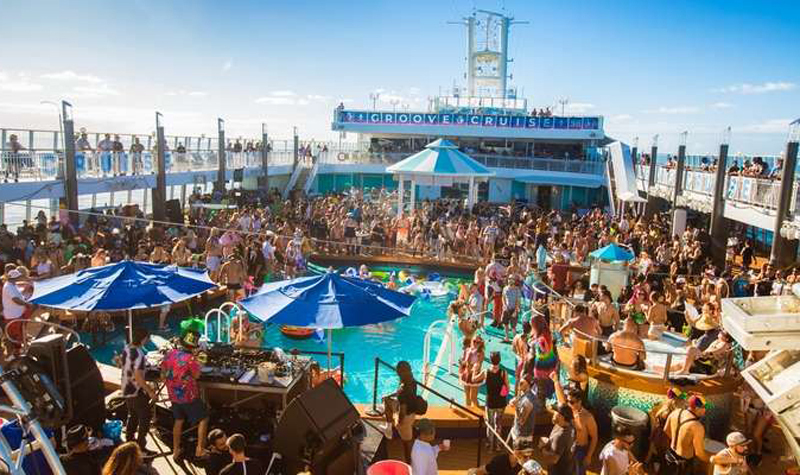 The 2019 edition of the Groove Cruise Miami is already more than 90 percent sold out and will feature over 50 DJs performing 96-hours of non-stop electronic music on the world's premier electronic music festival cruise. Reservations can be made via Groove Cruise Miami’s official website.